Heriberto Figueroa is one of the best-kept secrets on the Southern California circuit so far, but that's likely to change soon. Winning races in bunches for assorted trainers will do that. “He's learning every day; that's what we're concentrating on,” said his agent, Nelson Arroyo. “He's getting better every day and he has all the natural talent in the world. Now he's putting it all together. Figueroa, like Arroyo a native of Puerto Rico, is a 19-year-old graduate of the Island Nation's famed Escuela Vocacional Hipica riding school, which has produced the dynamic Ortiz brothers, Jose and Irad Jr., Evin Roman, John Velazquez and Manuel Franco, among others. Arroyo expects another promising young rider from Puerto Rico to be under his wing at Santa Anita shortly. 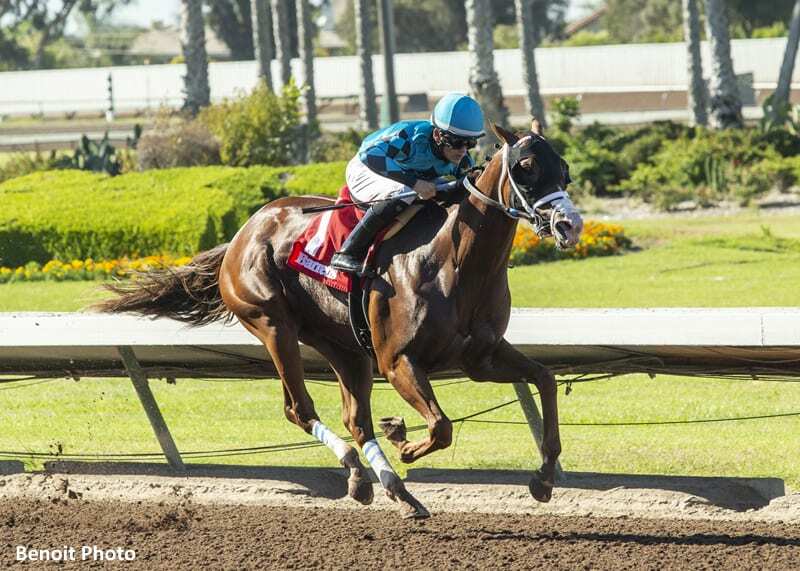 This entry was posted in NL List, People and tagged angel cordero, apprentice jockey, escuela vocacional hipica, Heriberto Figueroa, jorge velez, nelson arroyo, puerto rico, santa anita, santa anita park, Southern California by Ed Golden/Santa Anita. Bookmark the permalink.